It’s commonly accepted that a well-groomed woman should have a smooth, soft skin, without superfluous hair. Millions of women constantly confront a problem of unwanted hair and keep seeking new effective ways of removing it. Unfortunately, most hair removal methods were quite painful and efficient only for a very short period of time. Today you can choose a depilation method that will work for you better without causing a discomfort. In this article, we will cover some of the most popular hair removal depilation methods used today and favored by both men and women. For both men and women, shaving is the most common way of removing hair. This method, like almost any other one, has its own pros and cons. Let's start with the advantages. Firstly, shaving is absolutely painless, it is also very quick and takes 15 minutes at most. The downside is, if you shave too often, you may end up with the ingrown hair since razors tend to change the direction of hair growth. Shaving is also not recommended for people with sensitive skin prone to irritation. 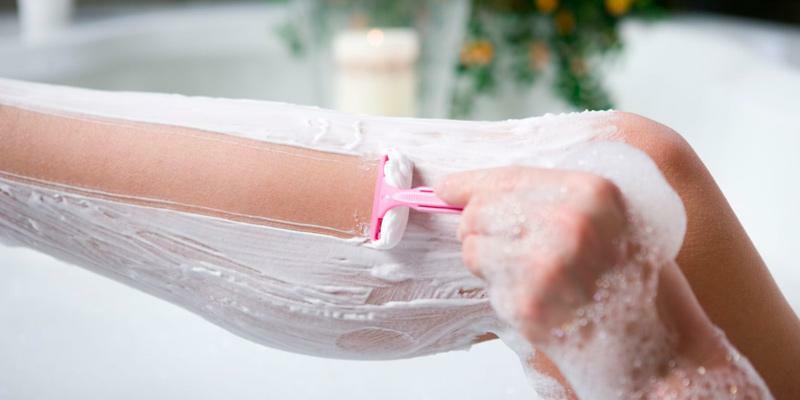 To remove unwanted hair, you can also try using a special depilatory cream. Designed as an alternative to shaving, the cream dissolves hairs at the surface without affecting the roots. The advantage of depilatory creams is that most of them can be used during bathing and provide long-lasting results. All depilation creams work pretty similarly. You need to apply it to the desired skin area, wait for a few minutes (follow the instructions on the box), and then wash it off. That's it. Depilation creams can be used on all body parts, including sensitive areas. The only thing that may stop you from using a hair removal cream is an allergy skin reaction. A depilatory wax has been all the rage for the recent years. It is a sticky and scentless substance that can be used for removing hair from your face, legs, arms and other body areas. There are different types of wax: hot, cold, wax in cartridges. Surely, you want to know what kind of wax is the best for you. It depends on your skin sensitivity and personal experience. For example, wax in cartridges is more suitable for a home use than the cold or hot wax. In addition, this wax type removes hair better than the other types of wax. To get the best results, you need to apply the wax to your skin in the direction of hair growth. After applying the wax, place one of the special clothes that come with the wax, on top of the daubed wax and press it tight against the wax. It only takes 10 seconds for the wax to do its job, after that you can peel the cloth off the skin, pulling it in the direction opposite to the one of hair growth. Waxing is a painful procedure but it is 100% effective. However, it’s a pleasure to know that you won’t be needing any shaving for a month after the waxing. A depilatory wax consists of many components, which have both natural and artificial origin. In particular, the wax composition determines its application method. There are cases, in which waxing is not suitable for you. The first is when the length of your unwanted hair is shorter than the minimal required for the wax to remove it. In addition, the waxing is not recommended for diabetics, those with a poor blood circulation or those suffering from varicose veins. Also, if you have skin conditions, such as acne or a skin rash, it's probably a good idea to avoid using a depilatory wax. The sugaring is the method of depilation, in which sugar and honey are used for removing an unwanted hair. The sugaring was first reduced to practice in ancient Greece, Egypt, and India. According to some experts, this method was used by Queen Nefertiti, and then by Cleopatra. This technique is also very popular today. The method involves applying a sugar paste to the skin areas with an unwanted hair and rolling it up against the grain to remove the hair. The sugaring allows unrooting the hair, so you can enjoy a smooth skin for a long time. The sugaring uses natural ingredients, that is why this technique irritates your skin less than the traditional waxing. As the result, this depilation method is suitable for the people with a sensitive skin. The sugaring employs natural components, which are less likely to produce an allergic response. Moreover, it solves the problem of ingrown hair. However, if you want to make the best out of this method and avoid getting infected in the process, we recommend you to resort to a professional. 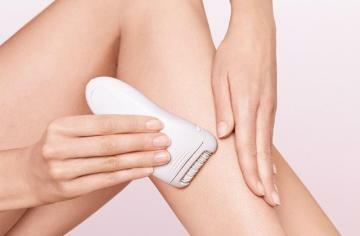 You can use an electric epilator to remove unwanted hair. An epilator is electrical equipment, which head consists of a series of metal sheets or discs encased in plastic. As the head rotates, the metal sheets are squeezed together and then spread apart similar to nipper or tweezer parts, ripping out the hair at the root. 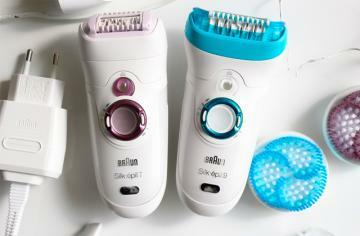 As a benefit of using an electric epilator is you don’t need to wait for your body hair to grow long enough for waxing. This device removes even the shortest hair. Owing to the fact that an epilator removes hair from the roots, you can enjoy a silky hairless skin for 3-4 weeks. Another plus of using electric epilators is that the hair grown after the epilation gets thinner and softer each time as it is removed at the root. After the procedure, you may experience a slight redness or irritation on the skin but this is typical for the first time. 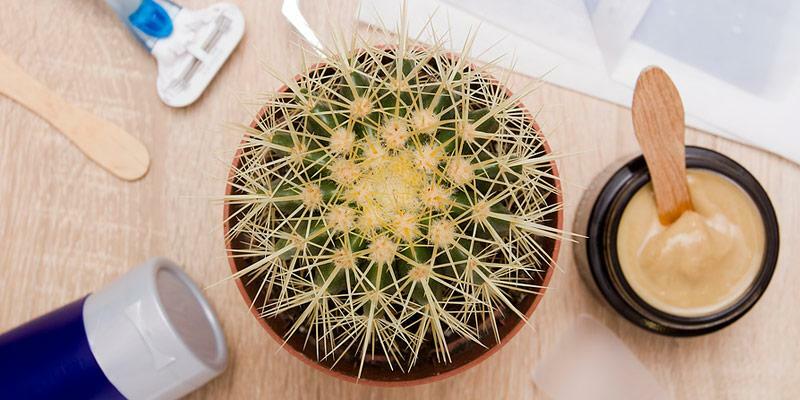 The experts advocate for the statement that using an electric epilator regularly hardly causes any pain. However, the disadvantage of this method is an ingrown hair. However, this problem can be solved by regular skin peeling. 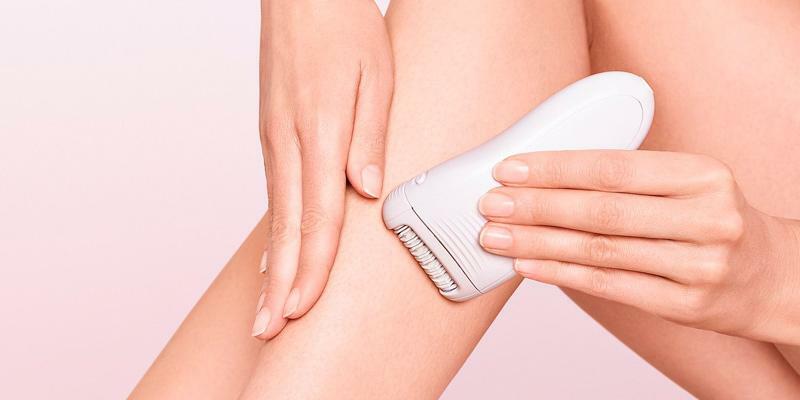 The laser depilation is another technique for unwanted hair removal. This is a rather expensive procedure that requires being done at least 5 times to get a palpable result. It is convenient that you can apply laser depilation to unwanted hair in different areas of your body, such as the face, legs, arms, underarms, bikini line, etc. As its name suggests, this type of depilation is performed using a powerful medical diode laser. The light emitted by the laser affects hair follicles and, thus, destroys the hair root. The light energy turns into the thermal energy that causes a thermal damage to hair follicles. As the procedure results in skin heating, the laser uses a cooling head that has an anesthetic effect on the skin. The laser depilation is one of the most effective ways of unwanted hair removal. The laser hair removal needs to be performed by a professional, in order to avoid any injury. This procedure takes about 20 to 45 minutes, this time depends on the size of the area of its application. The procedure allows stopping or slowing the hair growth for months with the subsequent hair grown becoming thinner and finer. 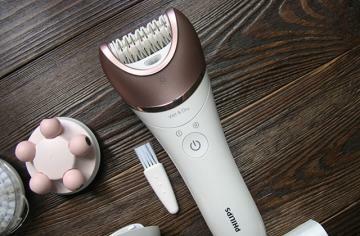 The photo epilation is a brand-new hair removal technology. There are three types of photo epilation. The first and the most versatile one is the IPL, it is applicable to all body areas, except for the ones with red, light and gray hair. The second type is the Elos epilation, which is used for removing blonde hair. The third type being the LHE-epilation can be applied to the body areas covered with light and gray hair. During the photoepilation procedure, the skin is affected by the thermal pulse, which causes skin chromophores heating up and intensely absorbing energy at a certain wavelength. After the absorption, the chromatophores start to radiate light energy, which, in turn, is absorbed by hair follicles and results in hair roots destruction. As we mentioned, this epilation procedure can be applied to different areas, such as bikini line, the skin above the upper lip, cheeks, chin, armpits, legs, arms, abdomen. Though the procedure is considered painful it requires no anesthesia, except for particularly sensitive areas (bikini line, underarms, and the upper lip). When undergoing the photoepilation, all you feel is a slight tingling. You need to undergo a series of epilation sessions to achieve considerable hair removal results. The treatment period depends on individual parameters of your skin. As a rule, the procedure needs to be repeated 5-8 times. In addition, the treatment is rather expensive and not everyone can afford it. There are many different types of depilation that you can take advantage of. Different depilation techniques may be used for different areas of your body. The experts in this area usually consult you and suggest the depilation method that suits you best. When consulting with the experts, dermatologists provide advice based on your skin type and needs, while some experts provide assistance with the methods for a home use, instructing you how to remove unwanted hair without getting injured. All in all, the choice of the best depilation method is up to you. How to Use an Epilator 4 Warning Signs of Low Progesterone and How to Deal With It How to Take off Acrylic Nails What Are Solar Nails?